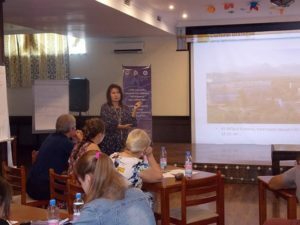 Director of the Cultural Dialogue Fund, Zhanna Mambetova, took part in the three-day training “Summer School for NGOs” on July 26 – 28, 2017 asthe state social order of the Almaty Internal Policy Department. 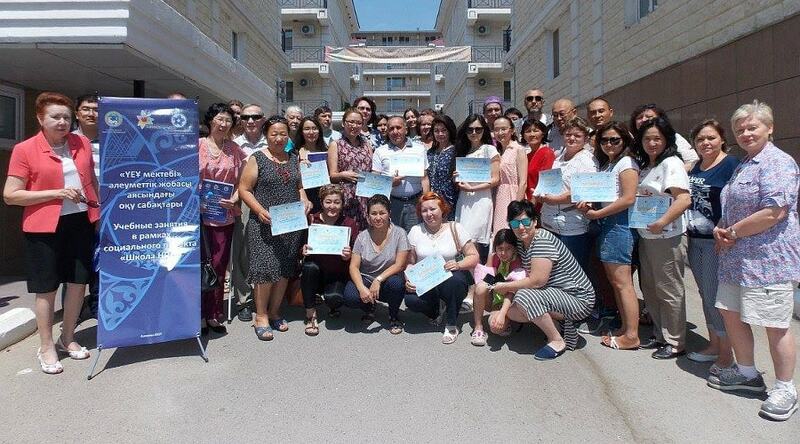 The objectives of the event were to train and enhance the competencies of NGO leaders for sustainable development and effective solution of social problems of the population, as well as “rehearsal” of social projects. At the training 40 heads of non-governmental organizations of Almaty repeated the themes of management and planning of public organizationsactivities, the development of business models of social entrepreneurship. 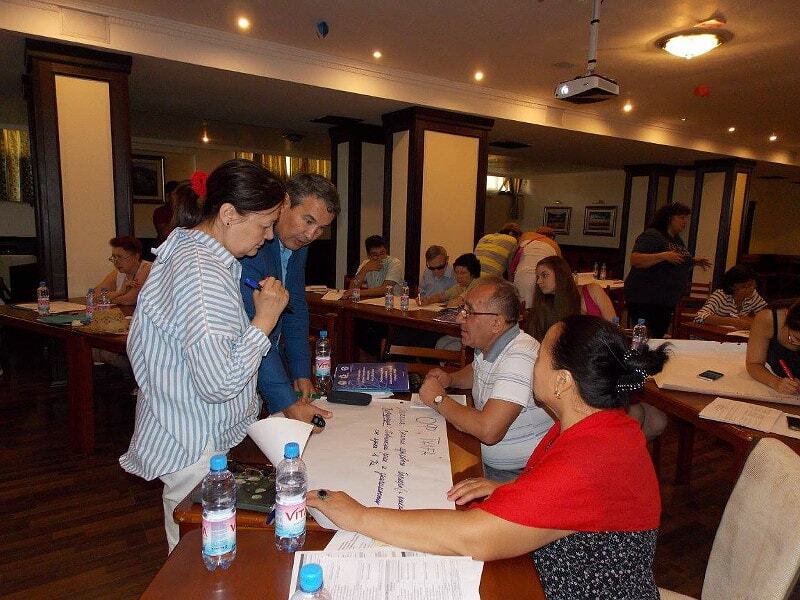 One day was devoted to information and communication technologies for NGOs and interaction with state bodies through the unified national portals egov.kz, goszakup.gov.kz, infonpo.kz. 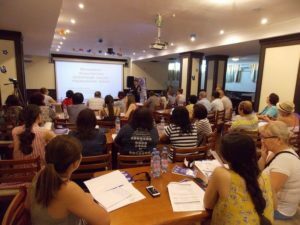 I believe that participation in the School of NGOs gave an opportunity to gain missing knowledge, and of course to get acquainted with new players, and to exchange information with more experienced leaders to improve their work on the planned projects. During the training the participants presented the project’s concludes, which will be presented at the Fair of Social Ideas and Projects and recommended to the Almaty City Administrations for their implementation in the framework of the State Social Order and Public-Private Partnership.